The folks over at Linux Mint have just released their newest, latest and greatest, Linux Mint 9 “Isadora”. This time, though, instead of having a single LiveCD to Rule Them All, they offer a LiveCD, LiveDVD and an OEM CD that does not create a default user account. Since I don’t have immediate access to a DVD burner here, I’ll be using the LiveCD. Let’s take a look, shall we? I had been planning to upgrade anyway, so let’s get on with it. It appears Ubiquity remains the underlying installer. The normal selections remain the same as from previous versions (time zone, keyboard layout, disk partitioning, etc.) Ext4 is the default filesystem. Unless you want to do something funky with the partitioning or want a different filesystem, installation is very straight-forward. The most agonizing decision you’ll have to make is your password. Once you click the “install” button the final time, the installer takes care of business. One tiny comment I have: the installer has a splash screen extolling Mint and the community, and concludes with “(h)ave a lot of fun with Linux Mint!” The “have a lot of fun” is reminiscent of early (i.e. pre-Novell) versions of SuSE, which tagged everything with, “have a lot of fun!” I don’t know if it’s intentional or not, but it’s there. Right off the bat, I was greeted with a similar GDM login screen as was used in Mint 8. Actually, I didn’t notice any difference there at all. I’m not the biggest fan of GDM, but since Gnome is the default desktop environment, that’s what there is. When I do a new Linux installation, one of the first things I do before customizing and making things the way I like them is getting the system completely patched and up-to-date. This obviously means that the Update Manager gets an early test drive. The shield has replaced the lock icon for Update Manager. For new users, it’s probably more intuitive, but for those of us used to seeing the lock, it will be a small adjustment. Otherwise, Update Manager looks and feels pretty much the same. From a pre-installed software standpoint, a lot of things remain the same, but there are a few surprises. Pidgin has returned after a brief appearance by Empathy in Mint 8. Rhythmbox is the default music player. Gimp is still included for graphic editing, and OpenOffice remains part of the default installation. The default terminal is gnome-terminal, and gedit is the default text editor. I tend to prefer LXTerminal, so I’ll be installing that in short order, as well as the Leafpad text editor. Overall, though, I’m generally pleased with the out-of-the box selections. Under normal circumstances, I’d simply open a terminal and install extra packages from the command line, but since the Mint folks are touting their new and improved Software Manager, I would be remiss not to take it for a test drive. The categories do tend to make more sense, but even firing up Software Manager and searching for available packages brought my system to its knees. I realize that updates and such are resource-intensive, but the load was heavy enough I could have sworn I was trying to run an application under Windows XP. That may have had something to do with the fact that some categories are HUGE and it tries to load the entire catalog into system memory. The program could really benefit from some sort of caching or something for those of us who don’t have gobs and gobs of system memory. For now, I’m going to have to rely on the command-line, I think. From what I can see, Mint 9 looks to be a worthy successor to the Mint line. They’ve largely left intact what works, and have worked hard to improve that which needs improving. As a full-featured desktop OS with modern hardware, this really looks great, but older hardware really struggles with some basic tasks. Firefox is sluggish, and, as mentioned previously, Software Manager brings my computer to its knees. In a few weeks I’ll see how it performs on slightly newer equipment. For now, though, I’ll have to bide my time until the LXDE or Fluxbox editions come out before I can consider using it regularly on my existing hardware. Defaulting to a music player that doesn’t have an equilizer is Mint’s only real sin in my eyes. But as with most things in Linux, this problem can be solved in seconds. All in all, Mint’s a good distro with good forums. @yoyo , This no equalizer thing is a common issue actually. i’ve been looking for one my self in alot of distros and i find the Music programs just don’t ship with one by default it is however just a 100kb plugin for banshee or rhythembox. however this plugin sometimes does or does not show up. i’m sure the mint developers would be gald to include this if a user requested and recommended a good plug-in in for it (i can think of 4 off the top of my head). Sorry, but this is where I stopped reading your article. Your hardware is incompatible with Gnome or KDE desktop environment. You’d be surprised, actually. Mint 7 and 8 ran fine on the same hardware. Don’t know where you get that idea from, I’ve run (and still do) both on much less. And 512MB is what the system requirements list for the current version, so “stopped listening at this point” is really your own damn fault. Seriously, explain to me how you have a sub 1G memory system with more than 2ghz CPU. My netbook nearly rivals your test system! So essentially your review says that with suboptimal hardware Mint 9 runs suboptimally. THANKS. I still want a full description of your test system. I would also suggest that you upgrade to 2 gigs of ram. While I admire the linux systems that can run efficiently on par with something of the dated hardware of an Atari 2600, Mint is NOT designed for this. It is designed to be a linux desktop alternative to existing licensed systems. Why would someone think Mint could compare to frugal, user streamlined systems like gentoo, slackware, or arch? This is not the target group of the Mint OR Ubuntu OR Fedora OR openSUSE groups. They are targeting CURRENT hardware. And attempting to create REALISTIC alternatives to windows and osx. ChromeOS is right around the corner though, and it is scary how much of the things I like about gnome and KDE have been implemented. Google might sweep this next gen of devices. An ARM based system with proprietary chrome software doesnt mean the end of days for linux systems though, but I think it’s a nice nod in the evolution of computing. MS trying to play catchup so late in the game is condescending when they tried to block such progression at every step. For starters, where hardware is concerned, I play the hand I’m dealt. End of story. I can’t really do anything about it. One of these years, I’ll have newer equipment, but for now I have to make do with what I have. Second, while I understand that hardware limitations make a difference, I also think it’s fair to make apples to apples comparisons. On this specific hardware, the Mint 9 LiveCD was waaaaay faster than the Mint 7 and 8 LiveCDs, and those were well ahead of Fedora and OpenSuSE. So I was understandably a bit surprised when the LiveCD seemed to outperform the installed system, where 7 and 8 had both been fine on this hardware. I don’t see how that invalidates my observations by any means. 9 is heavier than 7 or 8. It doesn’t mean it’s inferior. It just means that it’s no longer on the table for older hardware, at least not while running Gnome. It seems to be fine with LXDE. But, as I said, I play the hand I’m dealt. Previous versions of Mint have handled this hardware just fine. Mint 9 does not. That does not mean Mint 9 is bad. It just means that it is much heavier than the previous version. I find this thread quite amusing. Last October, I migrated my Dell Dimension 4500 (Pentium 4, 2.80Ghz) from Windows XP to Linux Mint 7 then 8 and more recently Mint 9. Ironically, when I migrated it was like having a new machine as Mint was so fast and responsive. I am pretty sure this aged PC would have struggled to run Vista or Windows 7. I don’t use the computer for video editing or heavy multi-tasking – just browsing, IM, photos, music, email and documents. Joe, I have to agree with you. I can’t see, where your system undercuts the minimum requirements. One great thing about all linux ditros I have come across so far is, that they actually work on the minimum requirements stated. With work I mean running the system, Firefox, Thuderbird and OpenOffice. Fancy animated eye candy does take up resources. I myself had Win XP running on a Vaio laptop with 512 MB ram and a Pentium M 1.6 GHz. It needed about 4-5 minutes to boot and get ready to work on. Opening a second application ment waiting for Win to shift between ram and swap. Mint 7 and 8 made the laptop boot in about a minute and I have not yet seen any swap space used. I think that many new linux users do make the change from Windows to linux, since they would like to run up to date software on less up to date hardware. System security was another big issue in my case. I have palyed around with a few other ditros, Omega (Fedora) 12, PCLinuxOS 9 & 10.1, but I always fall back to Mint, since it works just fine on my PC and laptop. And things just work the way I expect them to. Well, that is my very personal experience and I know that a lot of other users do have problems with Ubuntu based distros. So this is lucid with different default package set and a green theme? Off-hand, I’d say there are still some differences with Lucid, but I haven’t gone that deeply in-depth with them yet. The biggest changes appear to be on the Mint management side: Update Manager, MintBackup, etc. They’ve also added a Startup Disk Creator I can’t wait to try out: supposedly it will put any .iso on a USB drive and make it bootable, so I’ll be wanting to check that out. Several of the changes are cosmetic, but it looks like they’ve also done a fair amount of under-the-hood work which is not immediately apparent. But for me, the biggest deal is that they’ve reworked so many of the management tools that attracted me to Mint to begin with. One more thing I didn’t really mention in the main article: the installation process was surprisingly quick and painless, compared to previous installs. They’ve done a really good job improving the installer. I installed Mint 9 when it came out. First I tried to do an upgrade (which the Mint team does not recommend). Well it didn’t work. It booted to a terminal window and if I tried to start X-windows it just gave errors. So I wipped it out and installed a fresh copy, this is my main complate about Mint once I get my system all setup and running I like to keep it up to date and running (Ubuntu lets you upgrade from version to version). I was happy to see Mint 9 use SUN Java JDK not OpenJDK like Ubuntu. Ubuntu dosen’t even have SUN Java in the repos bad choice. However, after installing Mint 9 Firefox crashes alot, that has to be fixed Ubuntu 10.04 runs Firefox just fine. So in my opinion neither Ubuntu 10.04 or Mint 9 is ideal but for now I will stick with Ubuntu since most things run, there is a compiz bug still and they need SUN Java in the repos. SUN Solaris is just too difficlut to install software and resize a ZFS partion. Windows 7 needs virus software. Mac OS X is nice but pricey and I don’t Mac OS X updates both the OS and it’s software like Update Manager in Ubuntu and Mint 9 does. I’ve also tried Fedora and OpenSUSE but I can’t get LAME to install so no mp3 support and I can’t get MySQL to work. PCLinuxOS and Mandriva also have some nice features but not very deep repos. So Ubuntu is probably the best overall OS in my opinion right now even with OpenJDK instead of SUN java JDK. Ubuntu 9.10 would not run on my old AMD Athlon desktop but Mint 8 does (that’s what I am using now). So I will either upgrade to Mint 9 if the Firefox bug dosen’t show up on my desktop or see if Ubuntu 10.04 will run. May have to keep running Mint 8 or buy a new desktop CPU. anyone tried the new Zorin 3RC? has many features that none of the above have…they’ve done great work on bringing all the right tools into convenient locations! Why is firefox so very sluggish in mint 9? Virtually unuseable. Looks like a dsn lookup problem. I installed mint 9 inside my windows XP home edition. My cursor is disappear when i change monitor resolution. I have to agree….switching to Chromium (not Chrome) has made my desktop experience quick. I recommend the Ad-Block extension too. Firefox is only back-up now. Midori, Epiphany, and Arora are pretty fast and good too. I saw Sammys comment. I would recommend him to give the New Pardus 2009.2 a try. It are pre-installed with all mediacodes, SUN Java etc..
Not as much Known as Mint 9 yet, propably because its developed in Turkey. But now they actually got a International/English version to. I am sure in time they be among the top ten Linux distributions when people discover it. Mint 9 will run okay on 512mb ram. I have P4 2.8gh with 1gb ram and MInt does fine, even with AWN dock. 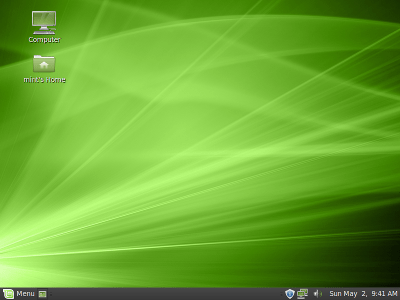 I recommend trying Linux MInt XFCE (based on Xubuntu). It is a nice choice with plenty of customization options. It would run better on 512mb. I know some people like MInt LXDE (based on Beta Lubuntu), but even though it is fast, you sacrifice too much in options. XFCE is the middleweight champ. If you had 256mb or under go LXDE. The ability to start installation from Windows is cool. It makes me feel like it won’t mess up other partitions (psychological). I like the way it set up boot without messing up windows 7 boot. In past, I had problem in many systems trying to do dual boot with Windows 7, but not at all for this system. 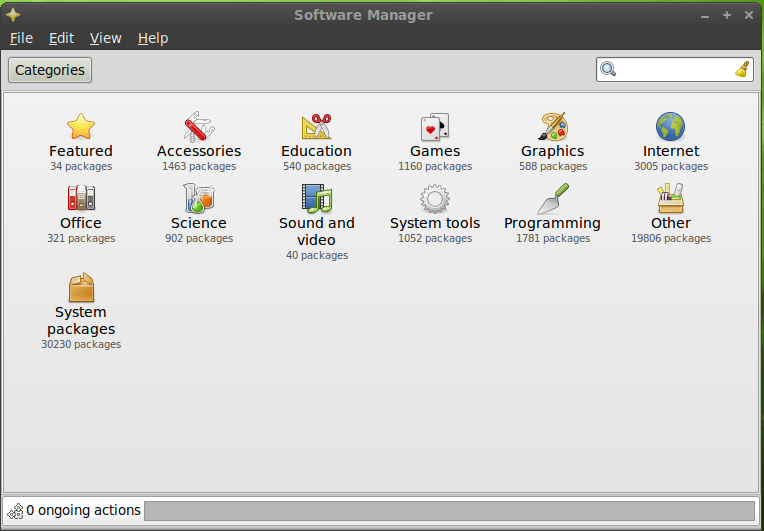 The default gnome theme doesn’t look so good (fonts are too large @ some location, icons theme & size aren’t very good). I can explore around web; but you know the free stuff, I never know something might go wrong after installing. Besides there are too many choices of free stuff out there. So I think they should include a few more pretty themes by default. Well.. no thanx to some geeky themes though. The log in window: It won’t start once a while. So I had to hit ctr+alt+backspace. Some of opensource apps: I understand that these apps are free. Being free, they aren’t quite as pleasant to use as commercial ones on Windows or Mac. Ex. OOO – It’s heavy, and I can’t get used of it much for some reason, and it’s difficult to deal when editting windows formats), Thunderbird – I want it minimized in system tray like outlook or can be like OSX, GIMP – I have similar opinion about this app as for OOO except it’s not heavy, keyboard input – it took hours to get Japanese letters finally type in…, and some other minor issues from other apps. By the way, Wine sux. I can’t even start Office 2007 for whatever the reason, so I deleted it anyways. File system icons on Desktop: It takes some time for Windows file systems to show up on Desktop after boot. The firewall options: I prefer the way like OSX’S firewall. The Menu: I feel like the menu needs a bit more improvement on style and functions. For example, when I have menu opened, it won’t go away when I want to click other items unless I click on the start icon. It might sound like a small thing, but it’s a bit annoying to me. Also the “remove” option from the menu doesn’t always work, sometimes it cannot remove things completely. And I think adding a bit more useful options for right-click on menu items may make things easier. Also can’t I just drag item from menu to Desktop or something?? Shortcut icons: Creating shortcuts on Desktop and other places isn’t so easy. Also I can’t access on Windows Shortcuts (I have many shortcuts). And I think also each program should have some option to install shortcuts on taskbar, desktop, or menu during installation. And maybe, some good program to adjust partition size without messing up contents is a plus. Another thing, the default app on double click gets messed up easiy. I think Linux Mint 9 is overall the best suited for me comparing to other Free systems I tried in past. In past, I tried Linux Redhat, Suse, Mandrake, FreeBSD, DesktopBSD, PC-BSD, Ubuntu, and a few others. Most of the time, I lost patience and quit often. I Used to spend days to configure one desktop system, but I got tired of it. So I didn’t use free stuff for quite some time. This time, I saw LinuxMint 9 release and felt like maybe I should give it a try. So I did it. The installation was fast and pleasant. So I decided to explore more things and spend some time with it. Linux Mint 9 is surly more than I expected although it might not be for a business use yet (mainly because of office app and the key input hassle I had). Of course considering it being free, it’s a great system. So I hope they will continue improving this system; and wont be taken over by some company or be discontinued like many other distros. I guess everything has something good and something not so good. And I think LinuxMint 9 is best suit for me comparing to other free distros I tried in past. i have a linux mint 9isadora in working condition ,but its update manager is not working.on updating it says that ‘run dpkg manuallly” what should i do?